Dashay is part of a growing number of students who are benefiting from the Comer Education Campus, a comprehensive youth enrichment and college success initiative that serves young people in Chicago’s South Side. The campus is a hub of resources that gives students access to safe and modern educational centers, an array of extracurricular opportunities, and academic support that extends through college. The staff is truly dedicated and operates the campus under the belief that if you root everything in education, success is inevitable. This exemplary support started with Gary Comer, Chicago philanthropist and founder of the Land’s End apparel company. Gary grew up in the Greater Grand Crossing neighborhood on Chicago's South Side and had a vision of providing educational, social and career opportunities for young people in the community. Today, that vision is being realized through the Comer Education Campus. The campus forms civic partnerships and advocates for community improvements, such as the Chicago Public Library’s new Greater Grand Crossing Branch and the Revere Way revitalization project, which provides affordable housing. At the core of this holistic approach are the campus’ youth center, middle school, high school and college support program. As the first to open, Gary Comer Youth Center became a catalyst for progress when it started welcoming students from Grand Crossing and other parts of the South Side in 2006. The center offers ways for students to explore interests and become well rounded through programs ranging from media and technology to performing and visual arts. It also prepares students for college through academic tutoring and opportunities to work in the community and test potential careers. 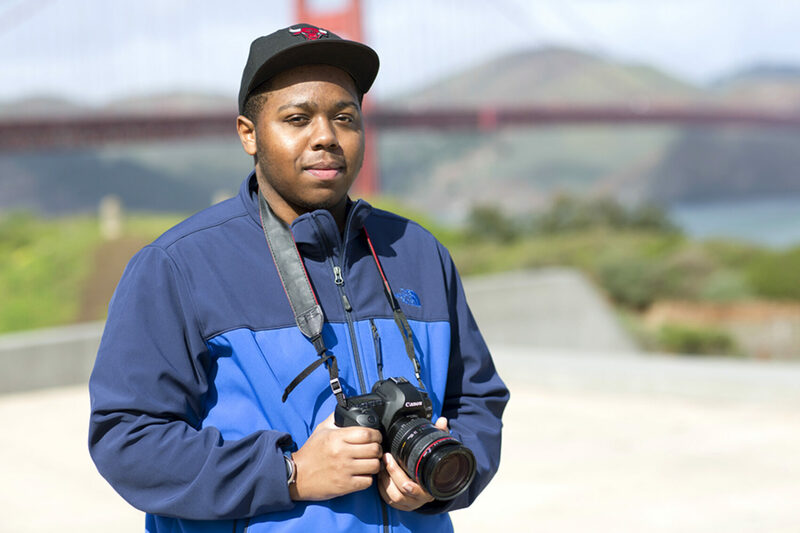 De’Andre Armstrong, who graduated from the University of San Francisco with a media studies and film degree, got his first taste of media production through the youth center’s partnership with Free Spirit Media. 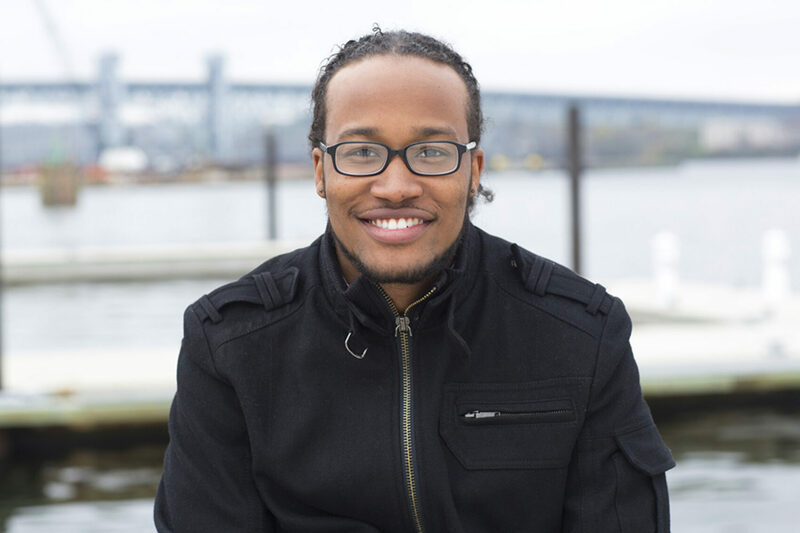 He covered sports for a program that aired on local television and it contributed to his desire to become a filmmaker. 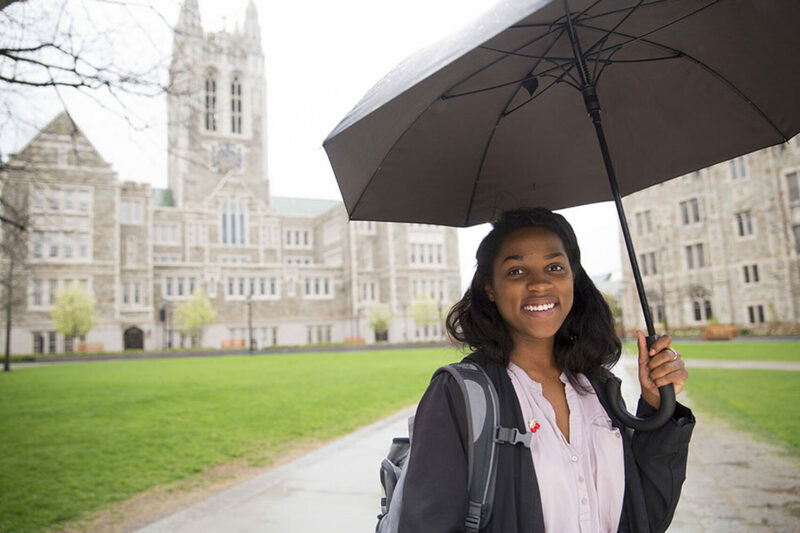 The Comer staff helped Arnesia Banks, who graduated from Boston College with a degree in political science, obtain a legal internship with the city of Chicago the summer before she graduated from high school. 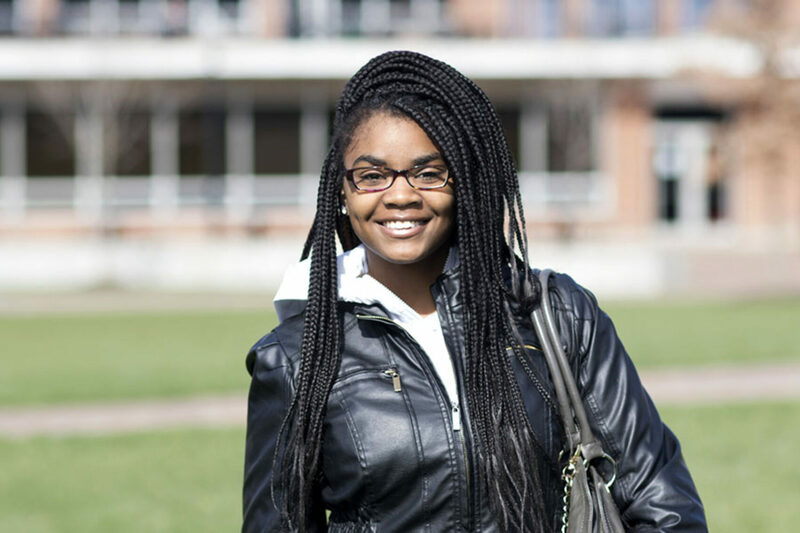 Arnesia is now looking for a job as a paralegal and plans to go to law school. Since its inception, 100% of GCCP seniors have been accepted to college and, of those attending, 59% are on track to graduate within six years. While the youth center is directly helping more than 1,500 students, many of its programs also serve the surrounding community. During the growing season, youth run a farm stand to sell organic produce from the Youth Education Garden, share recipes and offer cooking demonstrations. The Uplift program allows parents and local residents to use youth center facilities such as gym equipment, participate in fitness classes and attend educational and financial workshops. The center also hosts an Access Community Health Center that is open to the public. The Comer Education Campus expanded in 2008 when it established Gary Comer College Prep through a partnership with the Noble Network of Charter Schools. The school serves a student body that is 96 percent African American and four percent Hispanic and strives to be the best high school in the country at graduating low-income, minority students from college. Since its inception, 100 percent of its seniors have been accepted to college and, of those attending, 59 percent are on track to graduate within six years. The success of Comer students is exceptional, especially given that, according to a report from the University of Pennsylvania and the Pell Institute, only nine percent of dependent students from low-income families in the U.S. graduate within six years. Gary Comer College Prep is enabling its students by creating a supportive environment and showing them that they can achieve. Students develop self-discipline by adhering to rules and focusing on their studies. They also meet inspiring role models and learn how to interact with professional adults, such as the accomplished black executives that participate in the campus' bi-annual career fair. When it became clear that students would be better prepared to excel at the high school if their Comer education started earlier, the Comer Education Campus began exploring options. In 2011, the campus formed a unique partnership with Chicago Public Schools and with the Noble Network opened Gary Comer Middle School in a shared building with Paul Revere Elementary School. The partnership provides needed space, and collaboration between the middle and high schools builds a strong educational foundation for students. Attending the middle school has shown students to be more likely to graduate from the high school. More than 700 students attended the middle school and the high school during the 2015-2016 academic year. When the high school’s first class of students prepared to graduate and transition to college in 2012, the Comer Education Campus launched UtmostU. This college support program is critical to the success of students, 85 percent of whom are or will be the first in their families to earn an undergraduate degree. From FAFSA completion parties to annual campus visits and regular calls and texts, UtmostU gives students the support they need to achieve college graduation. 85% of UtmostU students are or will be the first in their families to earn an undergraduate degree. Under the counsel of UtmostU, students are funding 88 percent of their university expenses with financial aid and have effectively limited their debt to less than $5,000 annually. Aid comes in the form of grants, scholarships and loans, as well as a combination of financial and social support through UtmostU. Students in the program are equipped with smart phones, paid through a partnership with T-Mobile, and paired with alumni coordinators. Having the phones enables communication between coordinators and students, who, due to financial hardship, might not otherwise have a consistent number or adequate device for the current academic and social expectations of college. Coordinators become trusted advisors that help students transition to college and navigate academic life. Jenna Carlson, UtmostU's Director of College Success who also serves as an alumni coordinator said, "I do it because I want to see more of the students in this neighborhood succeed–to graduate from college and be able to have a career that they love.” Having the guidance of the alumni coordinators and their consistent encouragement enables students to transcend the poverty of their neighborhoods and excel in a university environment. The Comer Education Campus is improving outcomes for young people by building partnerships, putting resources behind programs and making long-term commitments to students. This uniquely comprehensive model is grounded in the knowledge that children everywhere want to learn and is seeking to change the national conversation about education through its work on the South Side.